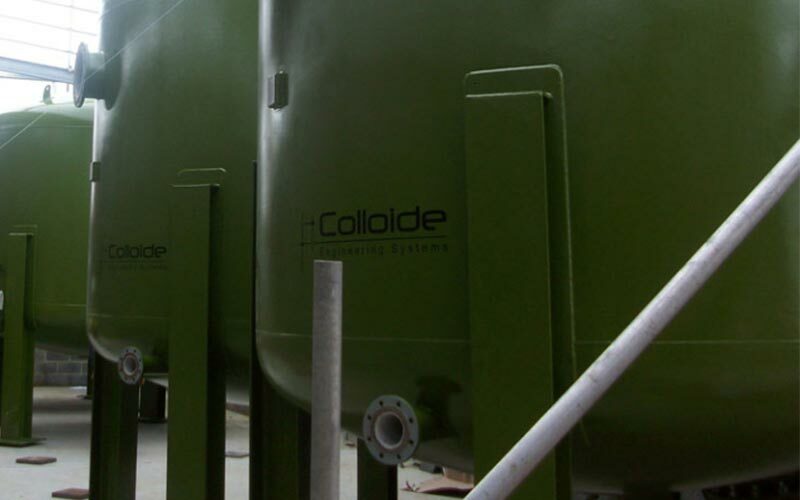 Colloide designs and builds customised pressure filtration systems for a wide variety of applications. These filters are designed to allow a pressurised flow to pass through the filter and onwards to where the filtered water is required i.e. the filter remains in line and does not break the pressure. 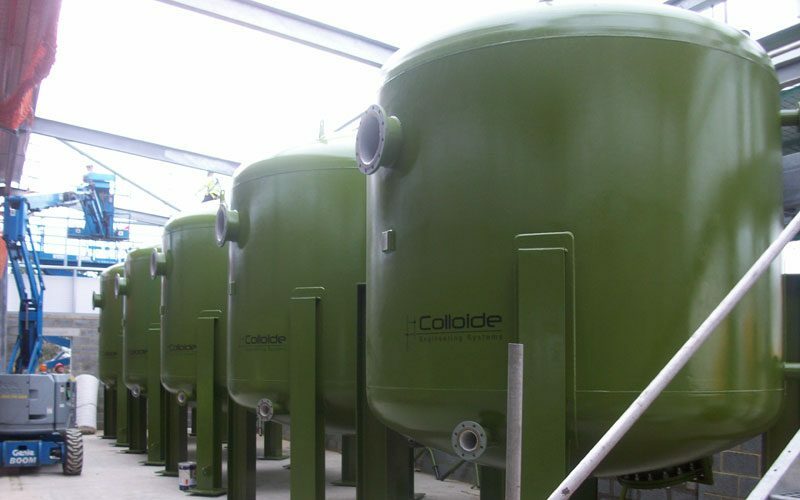 Our pressure filters are engineered to meet the specific performance requirements of individual water treatment plants, allowing for variables on working pressures, flowrates, plant configurations, paint specifications, media types and depths, etc. The water travels downwards through the filter bed. The solids are captured by the filter media and the clean water discharged through the base of the filter. The filter remains pressurised at all times when filtering. 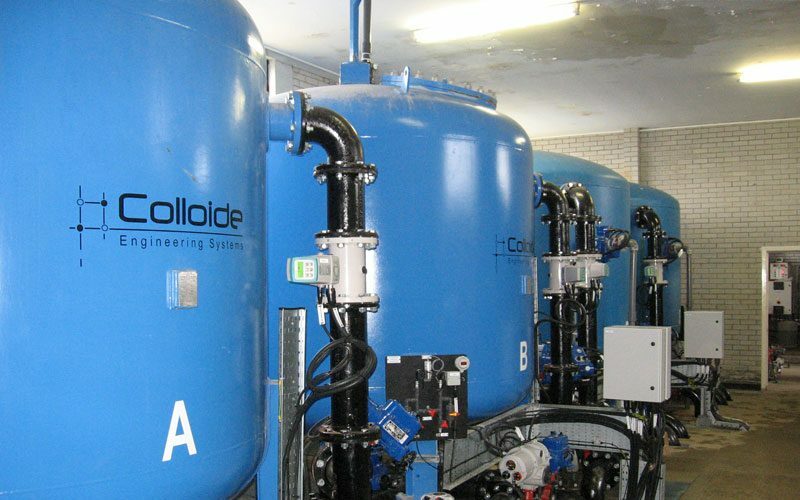 In order to clean the filters, we use a state of the art backwashing system, backwashing with air and water. To achieve this, an individual filter is taken off line, backwashed and then returned to service. The backwashing process takes approx. 15 – 20 minutes to complete. The filters are generally PLC controlled with an operator interface panel or PC used to all the operator to view the plant operation and change parameters. High filtration velocities, typically in the range of 6— 15 m3/m2/h. The filter can remain on line when filtering, retaining the system pressure. 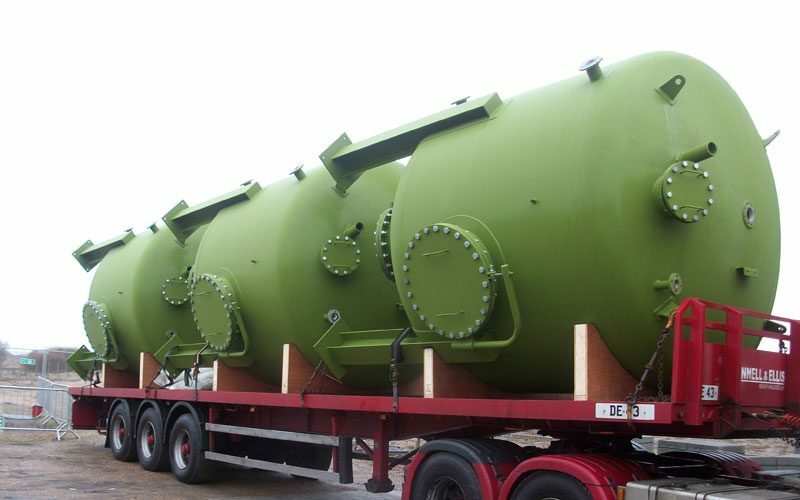 We offer a range of filter sizes up to 4000 diameter. Filters are designed to handle a range of pressures, all in line with the necessary pressure directives. Different media types can be used. Sand is used when only solids capture is required but this can be modified to include media such as GAC, Manganese Dioxide, and anthracite. 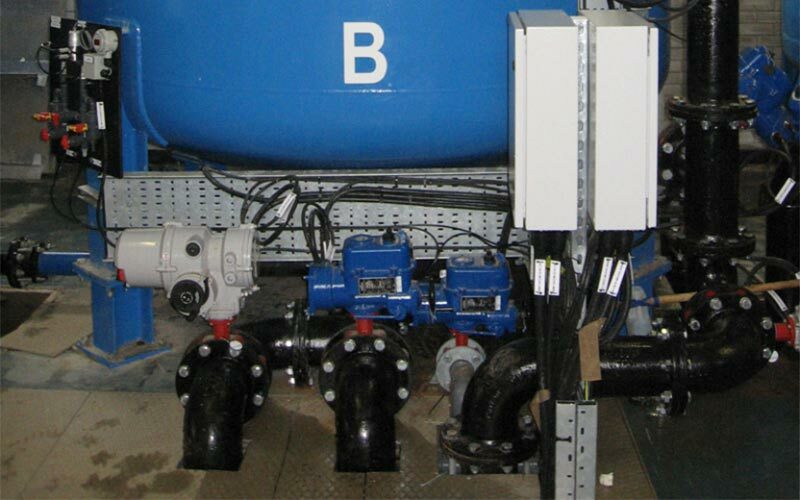 Our filter under-drain system consists of a plenum floor with filter nozzles, which delivers a very efficient backwashing process and a compact filter. A central launder runs across the filter and is used to efficiently collect the dirty washwater during a backwash. The primary function of this filter is the removal of solids from incoming water. Often these filters are used purely for solids removal in this way, using sand as the filter media. In many of these cases, the media is often tailored to suit the application. 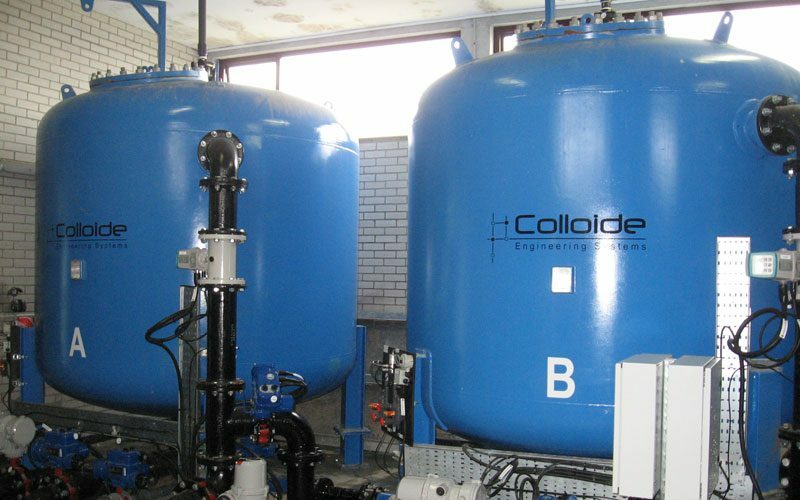 Chemical dosing can also be added to assist in the filtration process.